How Do I Create a Social Media Marketing Plan? You're here: Home » How Do I Create a Social Media Marketing Plan? WHY SHOULD I CREATE A SOCIAL MEDIA MARKETING PLAN? Earlier this week, I posted about a study from HBR showing only 12% of firms feel their social media marketing is effective. WOW! Did that surprise you? It did me. Sure, I knew lots of firms weren’t doing social media marketing right, but the tiny number of firms who felt they were doing it right surprised me. So, what’s wrong with the other 88% who feel they’re not getting enough bang for their buck when it comes to social media marketing? My guess is they never bothered to create a social media marketing plan — they’re just wingin’ it and hoping for the best. And, that NEVER works out. Doing anything without a plan means you waste a lot of time and money stumbling around hoping to hit on something that works. It’s like leaving the house for vacation without a plan — you might NEVER get someplace interesting and likely won’t have the right things when you get there. You waste your entire vacation — and a lot of money on gas, food, lodging — and are disappointed in the end. There’s a good article on Entrepreneur asking the 10 questions needed to create a social media marketing plan. My discussion is more practical — creating a framework for your social media marketing plan. Well, the first step is to set goals, which I talked about yesterday. Read that post carefully to ensure you’ve set the RIGHT goals for your business. Cultural environment — what’s going on with the folks who’ll buy your brands? Who are they? What do they look like? What’s important to them? Economic environment — consumer confidence, GDP, interest rates, etc. Political environment — for instance, recent laws like CanSpam impact your ability to market your brand and you need to stay legal. Technological environment — this is critical for social media marketing. What platforms are popular? With what demographic groups? What tools are out there to help? Competitive environment — who are your competitors and what are they doing? In terms of your internal environment, take a look at the resources — both human and financial — to ensure you have what you need to be successful with social media marketing. While social media marketing is MUCH less expensive than traditional media, it’s more labor intensive and requires specific skills. What platforms (or combination of platforms) will work best — Facebook with its huge numbers or a smaller platform like LinkedIn, which works best for B2B companies? What content? Google made if VERY clear with the last few updates to their ranking algorithm, that content is KING and there is no queen. So, find out what’s valuable to your target audience and create content that addresses their questions, concerns, interests, etc. How often? Posting content consistently is the key to building your community, gaining rankings, and creating a positive image for your brand. Creating a content calendar helps make the task of posting frequently doable. What format? Increasingly, video and other types of visual formats drive traffic to websites. So, think about creating visual content in addition to posts, images, and podcasts. What does your marketing funnel look like online? What landing pages (squeeze pages) move visitors toward a sale? How can you optimize these pages. Who will work on social media marketing? What will the process look like? What safeguards are in place to prevent inadvertent or thoughtless posts that damage my brand reputation? When you create a social media marketing plan, measuring and analyzing are critical for success. 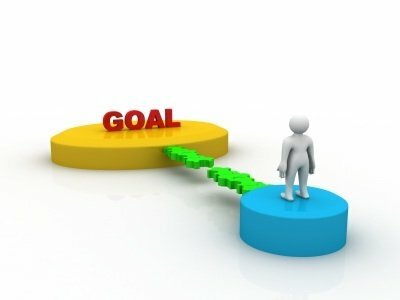 Your goals, created in step 1, should guide which metrics to include in your evaluations. Routinely collect data from Google Analytics, Facebook Insights, and other data from your social media platforms. Analyze that data looking for insights to help improve your market performance. It’s not enough to create a social media marketing plan and gather metrics related to the campaign, you need to make decisions based on those metrics. What’s working and what’s not? What needs to change? Which social platforms are working best? Which post types drive the most visitors to my site? Which platforms and posts generate the most ROI? Whether you need a complete social media marketing strategy or some consulting to optimize your existing social media marketing, we can fill your digital marketing funnel or developing a market information system that matches your needs. We can help you do your own social media marketing better or do it for you with our community managers, strategists, and account executives. You can request a FREE introductory meeting or sign up for my email newsletter to learn more about social media marketing.